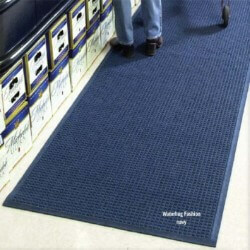 FLEX-TIP - Rubber Fingertip mat. Two thousand finger-like tips/sf. aggressively scrape soil from shoes. Excellent for outdoor use. 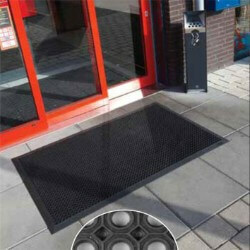 Oct-O-Flex's unique design has holes to drain water and debris away from the entrance. The smooth top surface and beveled edges makes it wheelchair and cart friendly. 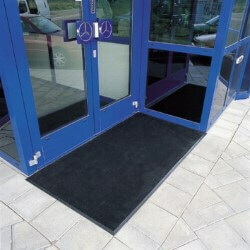 Ideal for high traffic, outside areas. 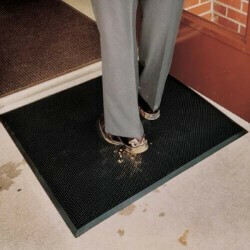 The durable 3/16" SuperScrape traps tough dirt and grime outside the door. 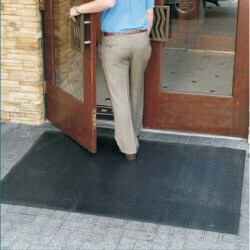 Its specialized circular molded rubber tread pattern is slip resistant and provides anti-fatigue properties. 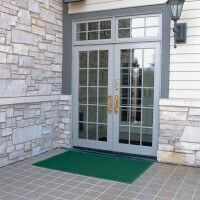 The 1/4" WaterHog Classic is the ideal mat for use inside or out. It effectively removes and traps dirt and moisture. Its exclusive rubber-reinforced face nubs prevent the pile from crushing; extending the product life. 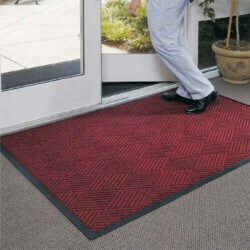 The 1/4" WaterHog Diamond Entry Mat's polypropylene fibers system dries quickly and won't fade or rot. Unique ridged construction effectively removes and holds dirt & moisture below shoe level. 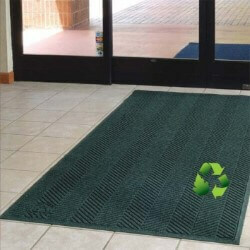 WaterHog Eco Elite 3/8" Entrance Mat is the most environmentally friendly WaterHog mat ever made. The herringbone pattern complements any décor delivering an upscale appearance with high performance dirt and moisture stopping properties. 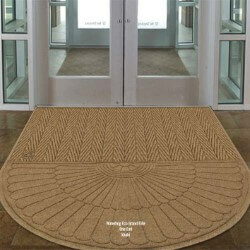 A premiere entryway mat the 3/8" WaterHog Eco Grand Elite mat has a Herringbone pattern and is available in half oval one end or both ends.